I'm reviving this old thread originally from 2009. Of the MANY things to be grateful this Thanksgiving, if you're thankful for the value of the website and forum, please say thanks with a donation. The notes I received remind me just how important the site is to many people. It's a great feeling to know that keeping the site chugging brings so much value to so many lives. I am leaving the donation link until Sunday night and then retiring it for at least a year. really.....thanks for what you do .....some of us would not be able to afford these wonderful works of rolling art with out the help here. Here, here. I would be in even deeper water without this website. It is my curse because it provides the knowledge and confidence to jump in feet first. It is my savior for the same reasons. I am deeply grateful for all you do to keep this site running. Thanks for being such a devoted enthusiast, Brian. I think the twice a year thing is an excellent idea! I'm happy to be a frequent user of this site, and encourage everyone to follow my lead with a 2011 donation. Thank you for the gracious gift. My Wife and I have date night planned for Tuesday and so it will be put to good use! I am also happy to contribute to this great resource for those with a german car addiction like myself. 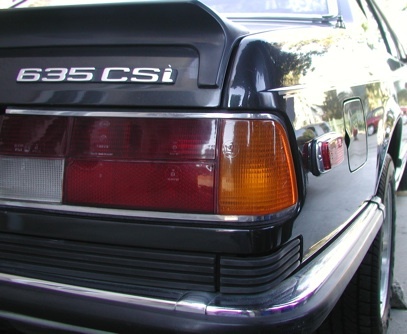 I have to admit that I first joined in 2009 when I brought my 1976 630 csi home and have been lurking ever since and taking advantage of the wealth of information here. I know that those responsible for a site such as this go largely un-sung for all their efforts. So (once again) I am happy to give something back. Hey Brian, how are you going on the funding for the site, maybe time for another 'donation' link. I, and I am sure my fellow members also, would be happy to help with a few $$$. ozbmw wrote: Hey Brian, how are you going on the funding for the site, maybe time for another 'donation' link. I, and I am sure my fellow members also, would be happy to help with a few $$$. I hope to make a profit on the calendar this year. Ive always underpriced them but that's going to change a bit. Not by much but enough to cover shipping as I always short change myself on the shipping costs. Thx for the donation Pillip!!! How can I make a donation? Please advise. TWO $50 donations in 24 hours!!!! You guys are good to me! Thanks Brian. I must be going blind, the darn thing could have bite me. Lately I've been wondering about how to pay back for you running such a great website! It must've slipped by me too. Just making a pitch to remind everyone just how much Big Coupe means to us and to encourage everyone to dig in and make a contribution of whatever amount you're comfortable with. I know Brian appreciates each one and we all want Big Coupe to continue to be here. Just realized I haven't kicked down in a while. Let's all remember how much we like having this place around. Offical supporter of the Maintain Brian's Beer Fund .... fund. It's nearly April so I thought it was time to give everyone a head's up to dig under the sofa cushions and make a contribution to Big Coupe!! Here's to our admins and all they do!!!! Bottom of any page on the forum. Edit: WEIRD! Ed's posting didn't show up until I'd posted, even though he posted his 29 minutes before me. hornhospital wrote: Bottom of any page on the forum.